Selwyn Vong’s practice cover financial, civil and criminal litigation. Prior to joining Innovatus Law, he served his alternative civilian service at Sentencing Research Office, Criminal Department of Judicial Yuan, which is a special task force responsible for the data collection and meta-analysis of criminal sentencing. He also volunteered at Tsuei Ma Ma Foundation, an NGO dedicated to housing rental market development and housing policy advice, where he helped the establishment of the Real Estate Information database maintained by the Ministry of Interior and participated in the drafting of the Ministry’s Standard Form Tenancy Agreement. In addition to general civil and criminal litigations, Selwyn helped the management of a corporation to defend breach of trust, fraud and financial statement fraud actions. He also assisted his clients in dealing with third party infringements of clients’ original works. In practice of corporate advisory, he has substantial experience in assisting Taiwan companies to apply for securities offering or initial public offering list, and helping foreign companies to invest in Taiwan. Selwyn also helped its client to review and draft property purchase or lease agreements related to the logistics business. 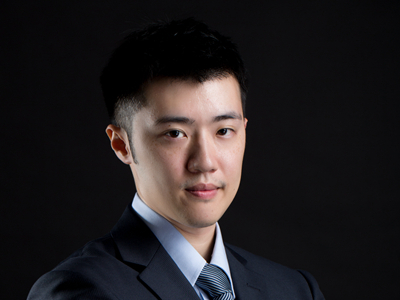 Selwyn is a member of the Taipei Bar Association and had studied in Australia for 4 years. He is fluent in Mandarin Chinese and English. Attorney in TRF dispute arbitration and helped the client to reach reconciliation with local bank. Represented Ampere Computing to acquire the Taiwan business of MACOM Technology Solutions. Assisted Tai-Shing Electronics Components Corp. and LCY Technology Corp., both are Taiwanese listed company, in the IPO submitted to GreTai Securities Market and TWSE Securities Market. Assisted Sandmartin International Holdings Limited, a Hong Kong listed company, in analyzing issuance of new shares, Taiwan Depositary Receipt and relevant legal compliance issues. Participated in providing legal advice for a well-known Taiwanese convenience store chain.